Accounting and managing finances is probably the last thing a small business owner wants to think about. If not done correctly, it can be time consuming and daunting. The good news is that there are accounting tools on the market that now allow small business owners to manage their finances with ease and concentrate on different aspects of their business. Accounting software helps you manage cash flow, generates invoices, have an audit-ready business, and make preparation for tax time. These tools make handling your small business customers and expenses a breeze. 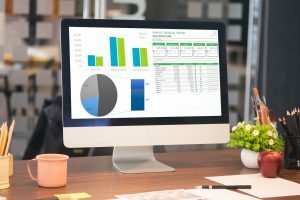 Following are the top-rated accounting tools for small business which have proven helpful in managing your finances and bookkeeping functions in small businesses. PDFConverter will convert Microsoft Office, Open Office, Lotus and other documents to a PDF. The interface is intuitive and it only takes a few steps to convert a file. Not only can you turn your documents into a PDF, PDFConverter Elite can turn PDF documents into editable MS Office or Open Office file formats. It is a reliable, inexpensive, and hassle-free way to manage the documents in your business. Click here to see a detailed course specifically for accountants on how to manage your PDF Files. QuickBooks can be accessed anytime, anywhere. QuickBooks is widely used by small business owners to simplify accounting operations and manage bookkeeping quickly. It is an affordable and easy to use software that can be easily learned and used by small business owners with no financial background. Freshbooks is a well-known software used by small business owners, freelancers, and entrepreneurial agencies to handle accounting and bookkeeping processes. It is a user-friendly tool and is preferable for a service provider. Zoho Books is a good choice for both product sellers and service providers because of having CRM and time-tracking features. Bookkeeping is also available in Zoho Books. They offer a free 14-day trial. Zoho offers a Client Portal where you can share recent transactions, expedite estimate approvals, accept bulk payments, and capture customer feedback. Xporter isn’t specifically an accounting tool. It is used to export stored data to Excel file. Any kind of required reports can be generated and automatically emailed to desired contacts. With Xporter, a user can export customers, orders, transactions, refunds, checkouts, countries, articles, blogs, draft orders, products and more from your shop. They offer a 7-day free trial. SimplyCost is a simple and economical Shopify app used to create profit reports. It tells you the actual profit you are gaining from the sale of a product. It also keeps track of worth of inventory. SimplyCost saves you time by calculating profit of your sales. It takes into consideration discounts, refunds, shipping and taxes. You can add other cost in addition to your product cost to track your profit accurately. SimplyCost is $4.99/month with a 14-day free trial. Profiteer is another Shopify app. This is an app to track the cost of goods sold and variants. It is able to export a CSV report of the total value of inventory and profits as it does not integrate with accounting software directly. Currency fluctuations are also catered by this app and an accurate report of profit is generated for a specific period. The price can range from $15-$30/month. GoDaddy makes bookkeeping simple. Everything is organized and in one place, without hours of data entry or tracking down receipts. Mobile access and time tracking are present. But, the payroll option is missing. It estimates quarterly taxes. Live support is also present in this small business accounting tool for it’s users. There are several plan options available starting at $3.99/month and up. for their Monthly Plan or $16.65/month for their Annual Plan. OneUp offers seamless invoicing, stress-free accounting, up-to-date inventory tracking, and simplified CRM reports. This software syncs with your bank, retrieves your transactions, and automates 95% of your accounting. Mobile access and inventory tracking are present. Live support is also available in this small business accounting tool. AccountEdge is for both online and desktop use. Mobile access, time tracking, and payroll options are present. It does not estimate quarterly taxes. Live support is available for it’s users. Command centers help you run and report on all aspects of your business: sales and invoicing, purchases, payroll, inventory, time billing, and more. AccountEdge offers a 30-day free trial for new users. Sage 50c is a well-rounded small business accounting tool. Mobile access, time tracking, and payroll options are present. It does not estimate quarterly taxes. Live support is available. Office365 is now integrated with this software, providing access to essential apps and accurate financials any time and anywhere. This software advertises itself as reliable, accessible, and flexible. There are several plan options available. Connector apps are used to connect and integrate accounting software. By integration apps, data can be transferred automatically from one application to another and to other partners. This is a time saving and easy to use application used to export all kinds of data related to tax matters, customers, and expenses on a single click. When getting ready to purchase accounting software, do your homework. Invest wisely in the purchase of a small business accounting tool according to the nature and volume of your business. The more specific requirements for a business also require an efficient and effective accounting software to manage finances and bookkeeping.